NEBRDA NORTH EASTERN BIO ECONOMIC RURAL DEVELOPMENT ACTIVITIES is located in Imphal East Manipur . NEBRDA NORTH EASTERN BIO ECONOMIC RURAL DEVELOPMENT ACTIVITIES is registered as a Society at IMPHAL EAST of state Manipur with Ngo unique registration ID 'MN/2011/0040687' . 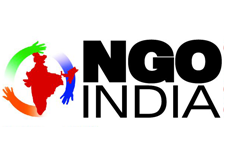 The NGO registration is done by Registrar of Societies with registration number 250 on the date of 27-03-1998, Its parent ORganaisation is N A. The Chairman of NEBRDA NORTH EASTERN BIO ECONOMIC RURAL DEVELOPMENT ACTIVITIES is MV ABDUL MAJID and Chief functionary officer is KH M RAHMAN. Promoters are I SHAPHABI DEVI, M A TAJUDDIN, ,. Computer Traning on O Level Diploma CABA MDTP Short Term PGDCA and other Electronic Programme Orphan Home Boys and Girls Vocational training PROGRAMME on Taloring, Embroidary Wool knitting dairy carpantary and shoe making for desiable persons training programme for women labour annual sport meet 5 days training programme on mushroom cultivation pre exam for obc consumer awareness programme social forestry programme health care camp urdu arabic and Hindi language development programme .